Americana Decor® Metallics™ is a specially designed, finely-pigmented acrylic paint that gives a durable, reflective finish to home decor projects. 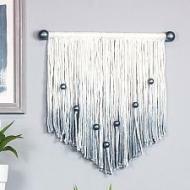 Use it to accent furniture or even paint walls for added drama. Its patent pending reflective technology guarantees the most reflective painted piece on the market. Advanced metallic acrylic paint that provides the best finish available for subtle accenting or full-coverage application. Its patent-pending reflective technology makes the light reflect evenly off the painted surface, resulting in a true metallic finish. Achieve a high-end look on home decor and furniture pieces without the hassle of priming or sanding first. 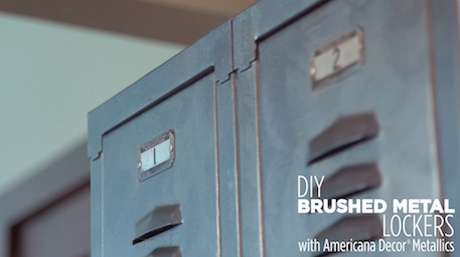 Coordinating specialty products and brushes to ensure your finished DIY project the best it can be. Whether it is blocking stains from coming through on a flea market find or adding a unique crackle finish to your project, Americana Decor provides an array of brushes, mediums, sealers, and finishes for every need. Flexible home decor stencils made for durability and ease of use with either paints or texture products. With laser-cut designs appropriate for indoor and outdoor projects and a variety of sizes, Americana Decor stencils work for almost any home decorating style. Lettered and repeating pattern stencils include alignment guides to help with accuracy. 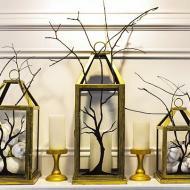 Get inspired with our craft and DIY project ideas made with Metallics. Achieve an ultra-matte, distressed look with Americana Decor Chalky Finish.